Boil the potatoes for approx. 20 minutes until they are tender. Let them cool off. Peel and cut them into 1 cm thick slices. Chop the herbs and onion as finely as possible. Mix the dressing and herbs well. 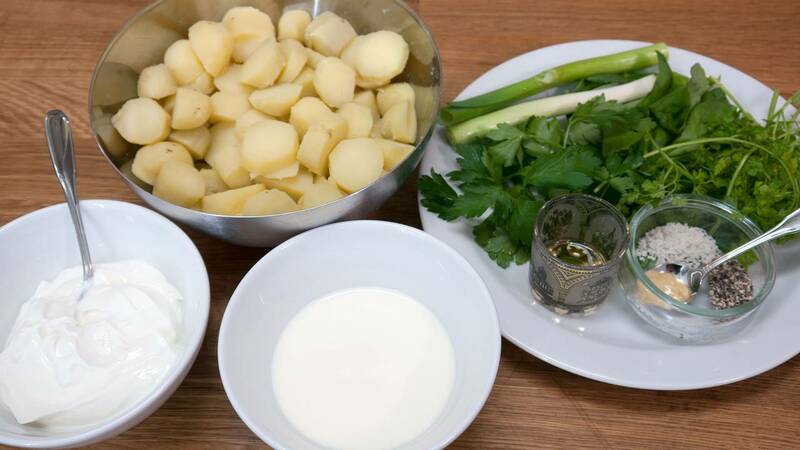 Fold the potatoes into the dressing. 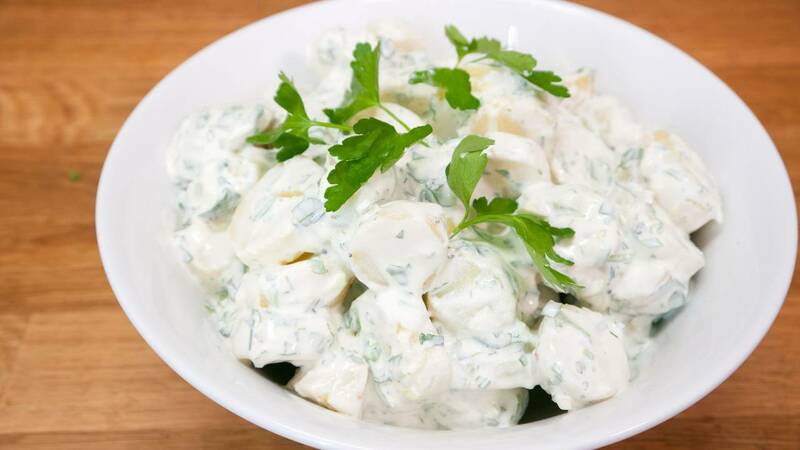 See the green potato salad, which I usually do along with this when there are guests. You can easily use skyr instead of yogurt but then use ½ cup (1½ dl) skyr for ½ cup (1½ dl) whipping cream. Otherwise the dressing becomes too thick. You can also use mayonnaise, or mayonnaise mixed with yogurt or skyr.